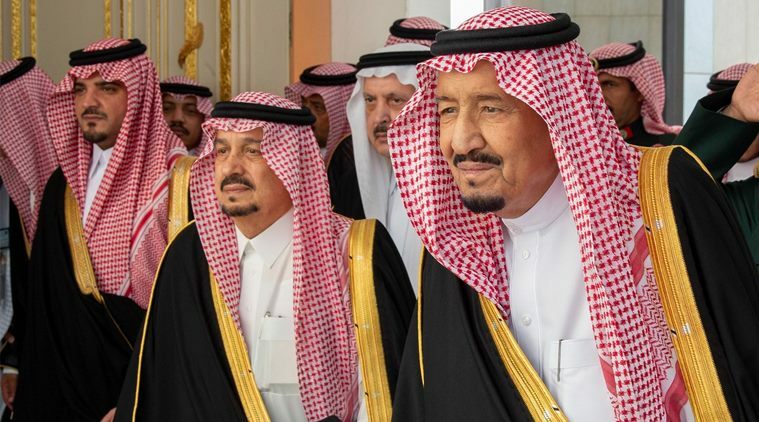 King Salman of Saudi Arabia on Monday stood by his son, Crown Prince Mohammed bin Salman, avoiding any mention of the international outrage toward the kingdom in his first public remarks since Saudi agents killed the dissident journalist Jamal Khashoggi in Istanbul in October. The echoes of that killing continued to spread Monday, with Germany imposing sanctions on 18 Saudis suspected of involvement and freezing arms exports to Saudi Arabia. And the Turkish defence minister suggested that Khashoggi’s killers could have left the country with his body. Khashoggi’s killing inside the Saudi Consulate in Istanbul has become a lightning rod for Western criticism of Saudi Arabia, its human rights record and the leadership of Crown Prince Mohammed, the kingdom’s day-to-day ruler. A growing chorus of current and former Western officials have concluded that an operation as elaborate as the one to kill Khashoggi could not have been carried out without the crown prince’s knowledge, and US officials told The New York Times and other publications last week that the CIA had concluded that the crown prince had ordered the killing.